The University of Notre Dame is implementing a new food waste system which will reduce overall waste, campuswide, by 10%, or 700,000 pounds per year. The university is working to install Grind2Energy, a system that prepares food waste to be converted to clean, renewable energy. “While we continue to work on source reduction and donations of consumable food to local outlets, we will still have food waste and it’s exciting to know that it will now avoid the landfill and be converted into clean energy,” said Carol Mullaney, senior director of sustainability at Notre Dame. Read Notre Dame News, "New System to Tackle Nonconsumable Food Waste." Learn about balancing digital sustainability with project management. This year's PMI survey discusses the process and project management capabilities found in Project Management Technology Quotient (PMTQ) Innovators. 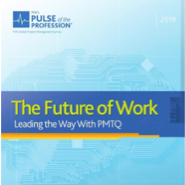 Read PMI's report, "2019 Pulse of the Profession." 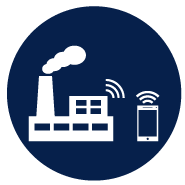 Have you thought about the synergies between Lean Six Sigma and Industry 4.0? Embracing Industry 4.0 tools and techniques within the DMAIC framework can advance your Continuous Improvement deployment. Read the PwC article, "What Would Continuous Improvement Look Like in the Industry 4.0 World?" Get an instant certification by brain scan; measure really, really bad quality; or upsize your data on demand. Enjoy these featured free "products" along with our collection of April 1st news releases. 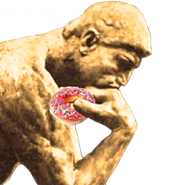 Take a break and visit our ISSISSIPPI website. Boost trainees' confidence and performance with immersive training simulations. 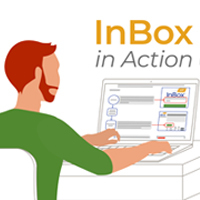 Join us for a train-the-trainer session covering InBox Lean Office, SigmaBrew DMAIC, Sherlock Holmes Zombie Hunter, Tollgate Adventure, and St. Sigma Hospital System. Learn to facilitate one or all! Contact Ellen Milnes for details and registration.